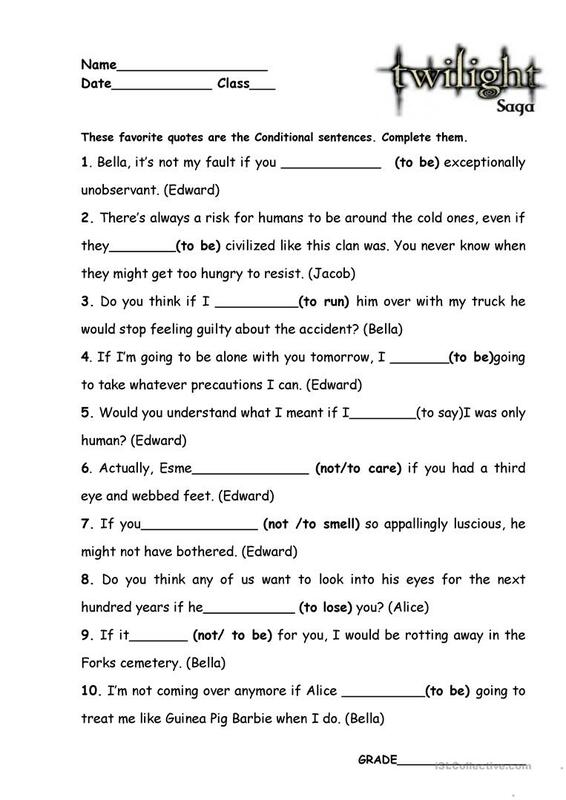 This grammar test is for those who like to reread the favouriteTwilight quotes.Why not practise Conditionals and enjoy reading? Revise the rules before using this grammar drill. The above downloadable handout is intended for high school students and adults at Intermediate (B1) level. It is valuable for revising Conditionals in English, and was designed for honing your groups' Reading and Writing skills. It focuses on the vocabulary topic of American/British English.